Be jealous. Look what I received in the mail from the oh so crafty Haley of The Zen of Making. 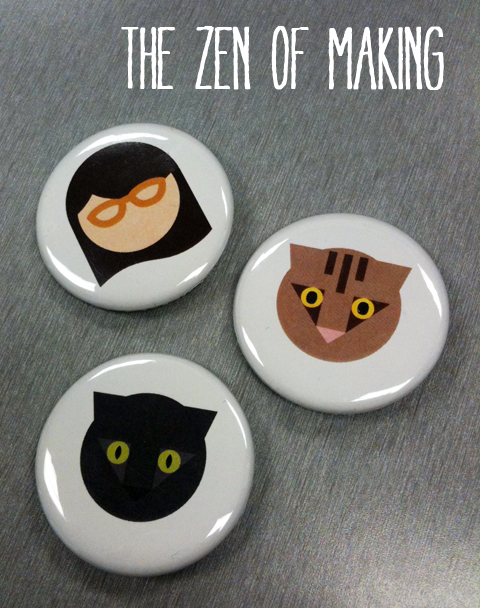 Lovin’ the awesome cat-tastic button exchange going on. Danke Haley! Sidenote: Thank you USPS for your lack of forwarding skills. I recently moved and apparently it takes over a month for your next day forwarding to take effect. You are currently reading BUTTON LOVIN’ at .